With all the different services offered by the experts at Wichita Tree, it’s easy to get confused…what’s the difference between crown thinning, pruning, and crown reduction? It’s good to know that you have our reliable expertise at your fingertips! Tree Crown Thinning is a specialized service offered by Wichita Tree which involves starting from the inside of the tree’s canopy and working outward to reduce the size of the crown. 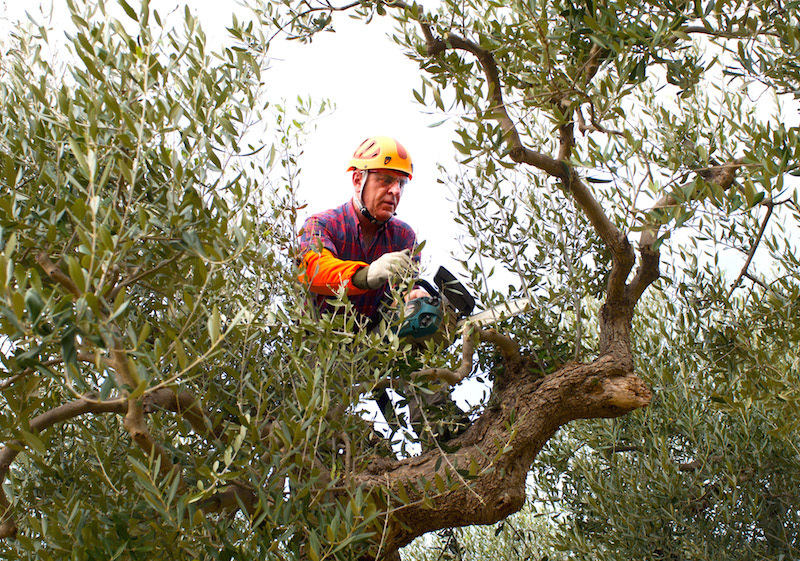 Tree pruning is different because it generally works from the outside in toward the center of the tree, and it is a much more general service, since pruning can be done anywhere on the tree. Crown reduction is also different because it usually involves shortening the tree, whereas crown thinning does not. You want air to flow more freely through your tree. Tree crown thinning can greatly reduce wind resistance of your large tree during a storm. You like the size and shape it is now, and you’d like to maintain it. You want to reduce the tree’s canopy weight. A top-heavy tree is much more likely to fall than a lighter one. You want the underlying lawn, plants, and branches to receive more sunlight. You want to enhance the appearance of the tree by removing only certain interior branches. You want to rid the tree of smaller, weaker branches, which are more likely to fall during storms than larger ones. You want to create the illusion of separation between the tree and nearby structures. ​Tree crown thinning will ultimately boost the tree’s growth and condition. Wichita Tree’s team of specialists would be happy to evaluate your tree today to see if tree crown thinning would benefit your tree. Call us now at 316-226-8733!